Easilly the PS3's showcase title, Motorstorm is one of few truly next gen games currently on offer - I can honestly say I have seldom played a racing game as intense and frantic as the experience on offer here. 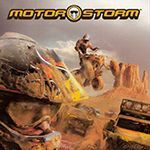 Boasting an incredible variety of vehicles, Motorstorm sees you unleashing cars, bikes, buggies, quad bikes and even trucks onto uneven terrain courses, leading to some of the most intensely enjoyable racing moments both offline and online. The graphics showcase the PS3's impecible power, with some truly sublime landscapes and delightfully intricate detailing on each vehicle - you can even witness the springs in the suspension. 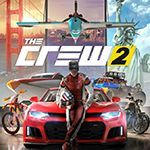 Unfortunately, as enjoyable as the experience most certainly is, the game simply does not last enough, restricting itself to just one game mode of racing with no extra content on offer, although this is gradually being rectified through the use of updates. Notibly, many of the vehicles on offer were inspired by that of the real life Paris Dakar off road racing. And I simply must comment that Motorstorm also features by far and away the most melodramatic intro in all of video game history - you would think the announcer was auditioning for Lord Of The Rings. "In this ageeeeeeeless valley"
This week saw the arrival of Motorstorm's first purchasable add on pack, Coyote Revenge. 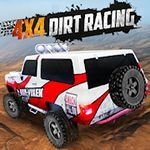 The pack adds a brand new weekend festival comprising of 3 new tickets with 9 races in total, but more notably features a new track, which is essentially a reverse version of the existing Coyote Rage track, but redone to incorporate new routes. Three new vehicles were also included, consisting of a new bike, an ATV that looks like a shopping trolley and a bonus unlockable buggy, which is useless. Annoyingly, the American version of Coyote Revenge featured 2 extra vehicles, namely an A-team style van and Mad Max style bus, although we should be getting them next week in an additional vehicle pack. Finally, an eliminator online mode was also added which is quite good fun. My Favorite car in the current selection has got to be the Bowler Wildcat. Motorstorm Pacific Rift was released as a sequel. I have this game, but my Playstation broke and i'm trying to earn some money to get a new one.